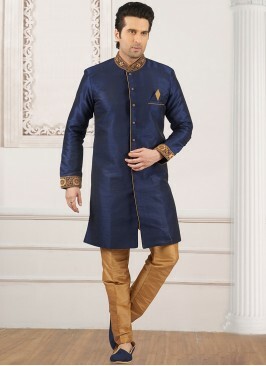 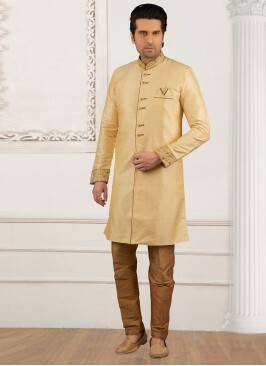 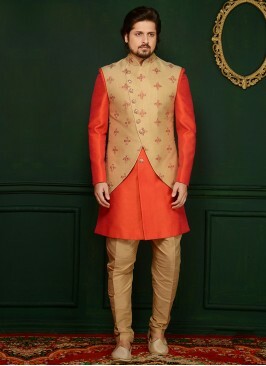 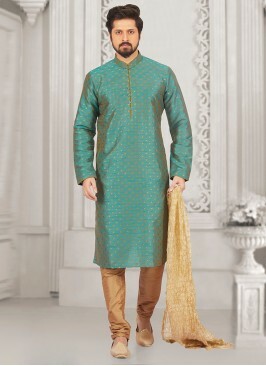 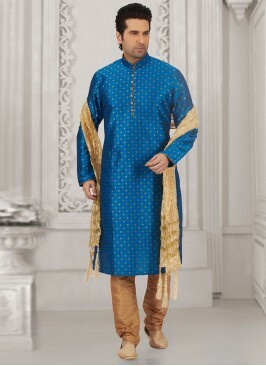 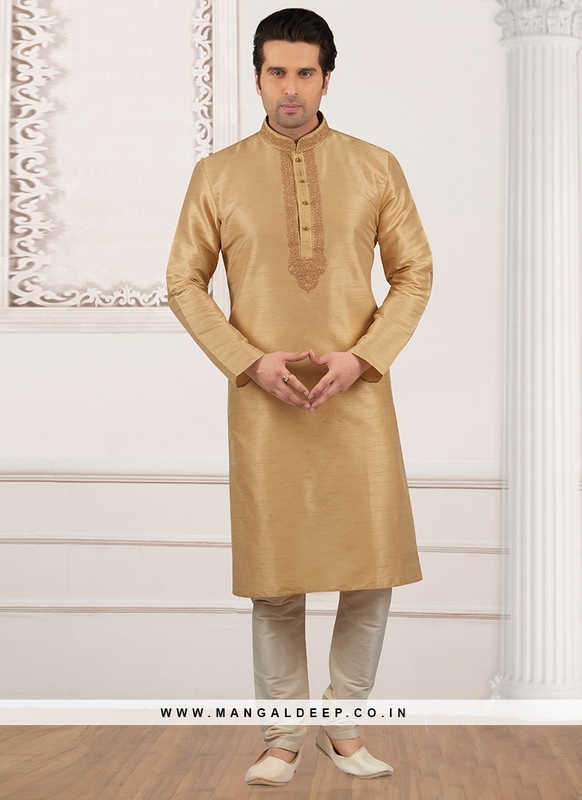 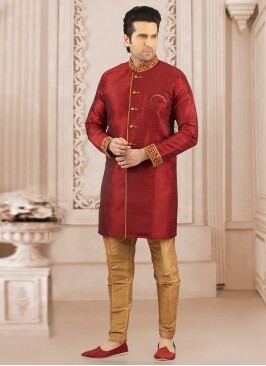 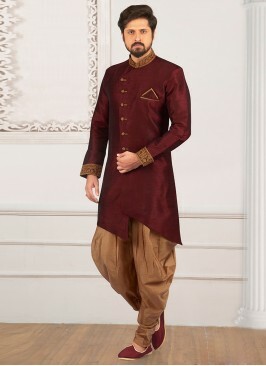 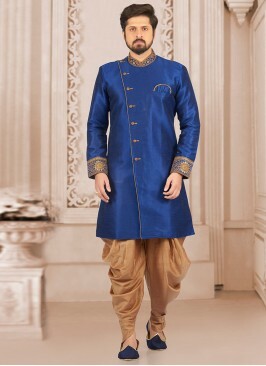 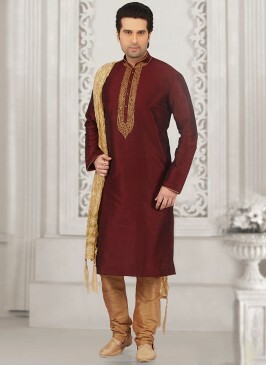 Look stunning and classic with this beige color function wear kurta Payjama . 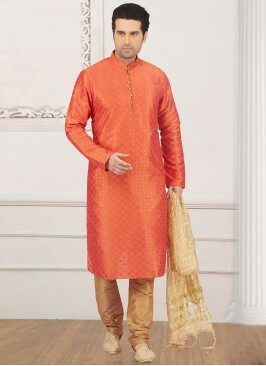 This party wear art banarasi silk kurta Payjama is decorated with modish embroidery work. 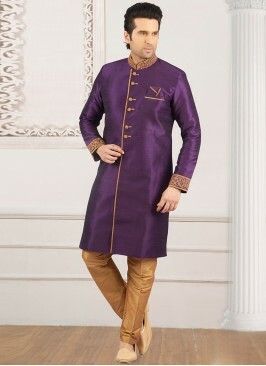 The outfit comes along with matching bottom and dupatta. 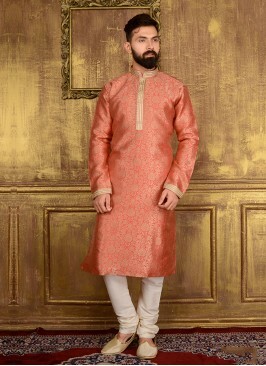 Art Banarasi Silk Orange ..